We love this Valentine’s Day Lunch or Breakfast Idea. Tic Tac Toe Toast is a fun food craft for the kids. See who wins first! Looking for a creative lunch or breakfast idea for the kids? 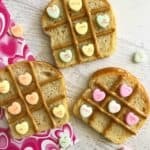 This Valentine’s Day Food Craft is cute, easy, and unique. 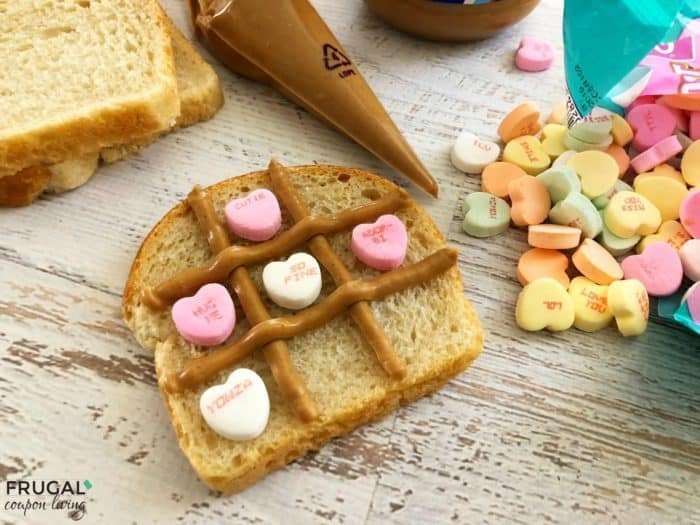 Tic-Tac-Toe Toast uses peanut butter and conversational hearts! See who wins first! Fill your decorating bags halfway with creamy peanut butter and cut a small tip off the end. Layout your bread or toast and use your decorating bag of peanut butter to draw a tic-tac-toe board onto each slice of bread. Separate your conversation hearts into piles of two colors. 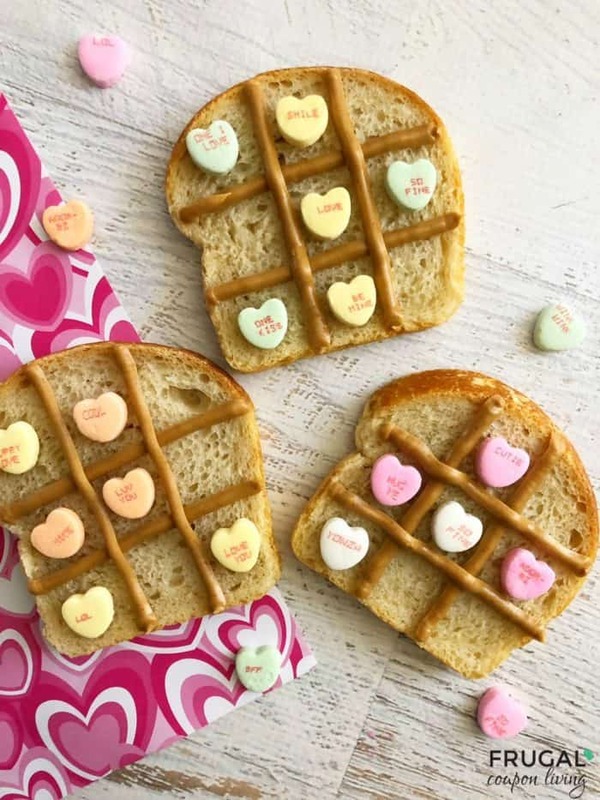 Now you can play tic-tac-toe on each slice of bread or toast with the conversation hearts and eat the peanut butter bread after. Valentine’s Day Breakfast Idea. Tic Tac Toe Toast is a fun food craft for the kids. See who wins first! Looking for other food ideas for Valentine’s Day? Take a look at these 28 Days of Valentine’s Day Food Crafts for Kids. Pin to Pinterest. We also love these Valentine’s Day Printables. Pin to Pinterest.